Do you know golfers who play year round? 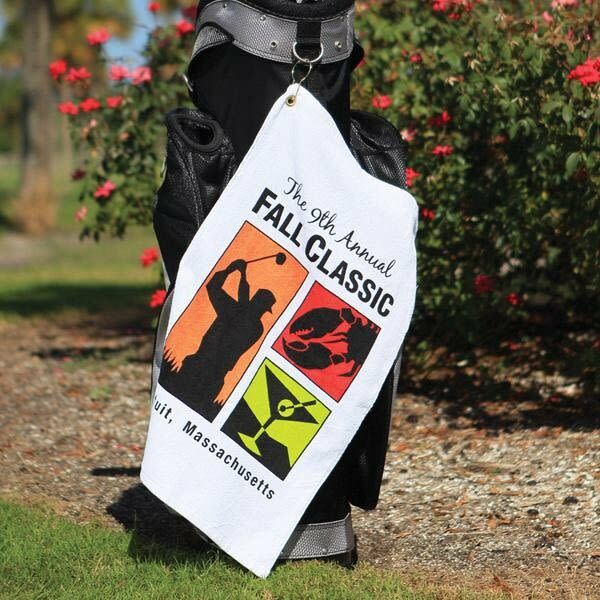 Put these golf towels to work promoting your organization at just about any event for advertising that lasts. Lightweight terry velour, 100% cotton, hemmed, and including a grommet and hook. With a huge choice of colors, these 15 x 24 inch golf towels can be customized to suit logos of all designs. Get the word out about your annual fundraiser, or create an item to hand out to new members of the club. Price includes a one color imprint. Additional imprint colors are available for an added cost.